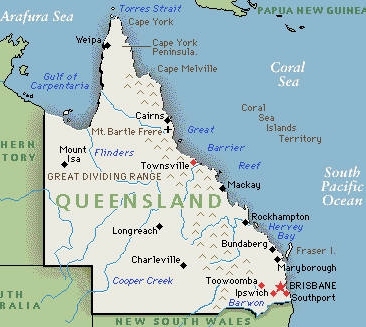 Queensland’s Premier is being urged to take out catastrophe reinsurance after it was revealed this week the disaster-ravaged territory is the only one of Australia’s six states not to have sought private market coverage for assets exposed to natural disasters. Australia’s other states as well as private insurance providers in the country are already said by industry analysts to have “significant reinsurance protections” through the Bermuda market. Any future move by Queensland to purchase catastrophe reinsurance would likely be channeled — at least in part — through the Bermuda reinsurance sector. Industry sources have told Australian media sources the estimated cost of catastrophe reinsurance for the state would range from $50 million to $100 million a year — a cost Premier Anna Bligh should consider well worth paying according to some Queensland MPs. Cyclone Yasi, a Category 5 storm, mauled parts of Queensland this week following on from a series of devastating floods in December and January which resulted in three quarters of the Australian state being declared a disaster area. “I am surprised at Queensland’s non-insurance policy for state assets and want to hear the details from them on why it was not considered value for money,” independent politician Rob Oakeshott has said. But Queensland Treasurer Andrew Fraser said while the state government did not buy reinsurance on the commercial market, its Treasury Insurance Fund had “sufficient reserve to meet claims”. “Previous market soundings have indicated reinsurance is not cost-effective, given Queensland’s history of natural disasters and the length of the state’s road network,” Mr Fraser said. The past year ranked as the sixth most costly for the world’s reinsurers, which are dominated by Bermuda, European and US companies. The payout for the year’s global catastrophes was $37 billion. And even before the $1.5 billion damages bill from the Queensland floods is factored in, Australia and New Zealand suffered three of the top 10 catastrophes by cost — hailstorms which caused severe damage in Melbourne and Perth and the savage earthquake that struck Christchurch. A leading industry veteran said this week while Australia had traditionally been regarded as a good bet for global reinsurers — with disaster payouts that were relatively small compared with the losses incurred in hurricane-prone states like Florida — the recent spree of back-to-back disasters might result in rates for the country being increased. Bermuda-based Partner Re has already announced it anticipates losses of between $25 and $35 million as a result of the Queensland floods and the earnings of other local catastrophe reinsurers are also expected to be impacted by the disasters. Now.. please… take global warming seriously and make it a priority!